Perfect for the vagabond philanthropist (or the woman who aspires to look like one), these ruggedly stylish sunglasses will hold up to the heavy grind of travel, music festivals and beach adventures. Crafted in proprietary SOLAFLEX cellulose, they're pliable and durable, with a soft-touch varnish for a rubberized feel. And—of course!—they look fantastic, too. With every pair you purchase, TOMS will help give sight to a person in need. Since 2011, the company has helped restore sight to over 275, 000 people—by providing prescription glasses, medical treatment and/or sight-saving surgery. Plus, it supports sustainable community-based eye-care programs, the creation of professional jobs (often for young women) and helps provide basic eye-care training to local health volunteers and teachers. You can be a part of that. One for One®. 52mm lens width; 23mm bridge width; 148mm temple length. 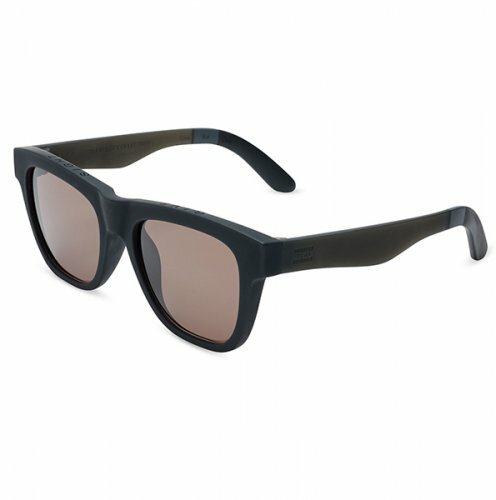 SOLAFLEX cellulose with nylon polycarbonate lenses.